Whether it is flying or gliding, target shooting or rock climbing, representing your region in swimming or athletics, parading through your local town or earning yourself national recognised qualifications, when you’re an Air Cadet, every single day is an adventure. Here in the Air Cadets, we love our target shooting. 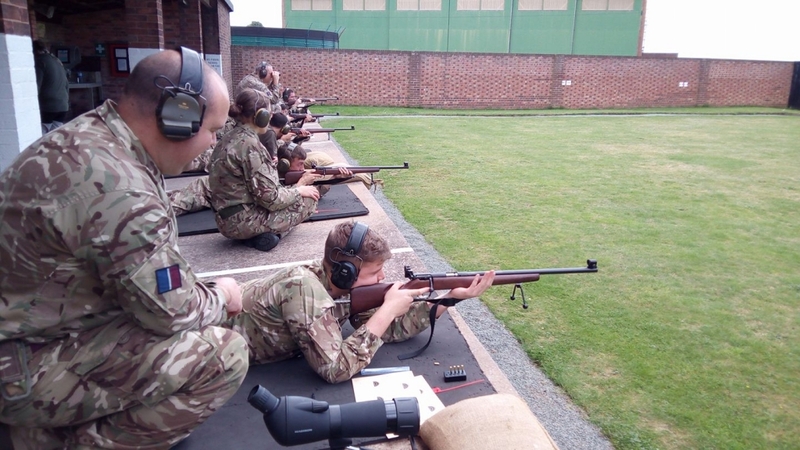 Across a range of rifles, from training to national (and international) competitions, as a Royal Air Force Air Cadet you’ll get hands-on and perfect your marksmanship. Taking aim with weapons such as air rifles, the new L144A1 Cadet Target Rifle, L98A2 or if you’re a pro at 100 meters the L81A2 target rifle, Staffordshire Wing cadets are trained by highly-qualified instructors in the safe use of each piece of kit, progressing through lessons from the basic but key safety information, through to advanced marksmanship. You’ll get the chance to hit the target at both your squadron (dependent on local facilities) and larger organised-events and training. The highlight of the year is the Staffordshire Wing shooting competition, where we pit teams from our 31 units against each other. Rifle Meeting (ISCRM), a target shooting competition where you get to compete against members of the ACF (Army Cadet Force) and SCC (Sea Cadet Corps). There’s also the Cadet Inter-Service Skill At Arms Meeting (CISSAM), which takes place annually on the ranges at Purbright. Like the rifle meeting at Bisley, it’s a top-level competition for teams and individuals. Just when you thought we couldn’t do anymore, we ‘pull’ (goan) something else out of the bag. 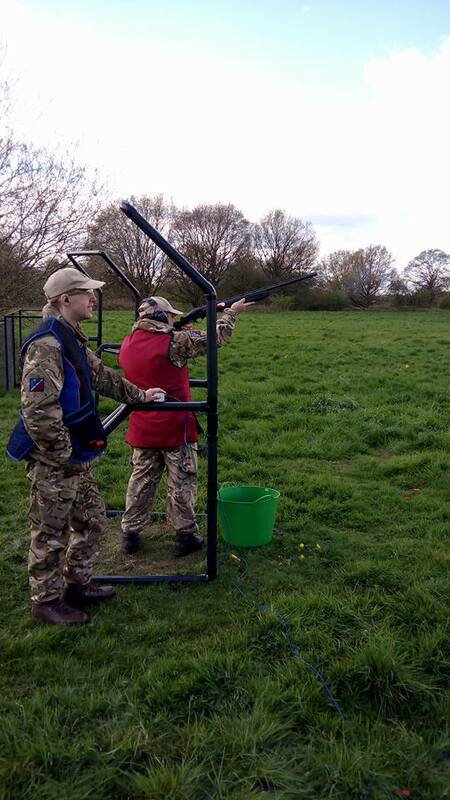 Staffordshire wing also boasts a number of qualified clay pigeon shooting instructors, meaning we frequently hold clay shooting experiences and competitions, with both staff and cadets getting hands-on with our shotguns. The cadets don’t have all the fun either. We’ve mentioned all the qualified individuals, so if you’re an older cadet or interested in joining as an adult volunteer and shooting takes your fancy, you’ll be able to train and be full-qualified yourself. Take on your friends, the region or even the country in seven major sports (and then some). Give back to the community, learn new skills, try a new sport and head out on expedition. Get airborne and learn to fly. From top-of-the-range simulators to flying solo in the real thing. Now, we couldn’t rightly call ourselves the Royal Air Force Air Cadets without making sure flying and gliding is on the agenda, could we? Tackling the rockface, conquering a mountain or hitting the rapids, we’ve got you covered. From Remembrance Sunday to Armed Forces Day, the Air Cadets are always in line. And that’s just a taste. 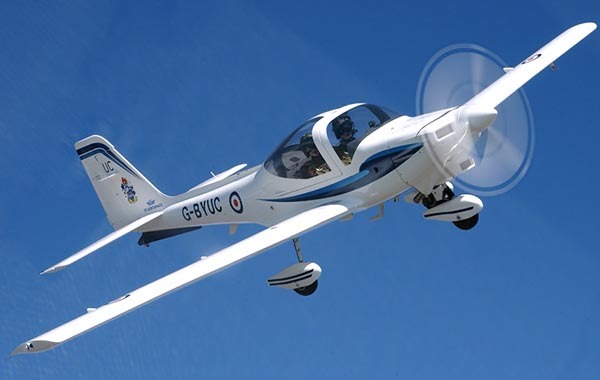 In the Air Cadets you’ll be doing some completely different every week.